Wood ferns reach heights of 2 to 3 feet and are more than 1 foot wide. The bright green fronds of this deciduous fern turn a bronze color in winter as they die back temporarily before spring returns. Like most ferns, wood ferns prefer shaded areas of the garden that receive no more than 4 hours of direct sun or dappled sunlight throughout the day. They add texture and color to areas of your garden where few other plants thrive. Grown from rhizomes, wood ferns will features fronds already when you transplant them to your garden. Prepare a shaded bed before planting. Weed the area thoroughly and work 2-3 inches of compost into the soil. Dig a hole that is deep enough for the entire root ball of the fern to sit inside comfortably. Space wood ferns at least 2 feet apart if planting more than one in a border or bed. Grasp the fern around the bottom of the fronds where they emerge from the soil surface. Tap the pot with the other hand to loosen it, then pull the plant from the pot. Loosen the roots if they are tightly bound with your fingers being cautious not to damage them. Place the fern in the planting hole and fill back in with soil. Cover the top of the roots with soil but avoid covering the crown—where the fronds emerge. Water the bed thoroughly than cover with a 2 to 3 inch layer of organic mulch. Keep the soil moist but not soaking wet. Water during extended dry periods or if the soil begins to dry out. Remove fronds after they have died off if desired. The plant will put forth new growth in the spring. There is no need for extensive fertilizing--just add a layer of compost every 2 to 3 years. Divide the rhizomes every 3 to 5 years in the spring. Avoid planting wood ferns in very dry areas as they do require some humidity in the air. 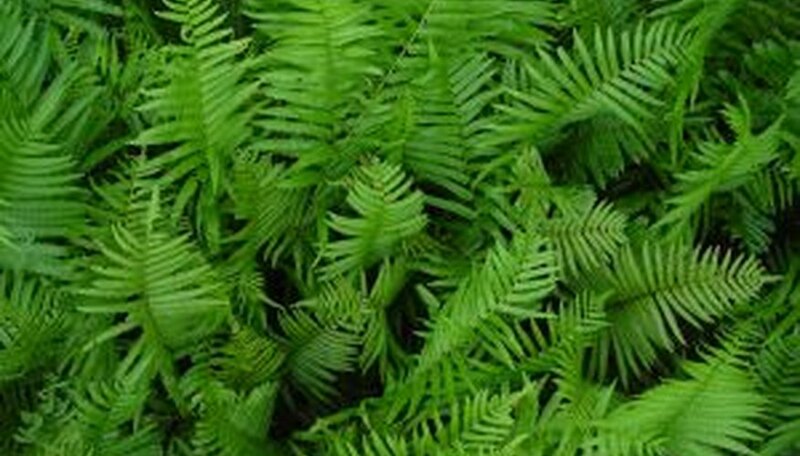 Clean out garden debris from around the fern regularly or the plant will be prone to disease.